Take a breath... smell the rich scent of pine, watch as snow settles on still green boughs, celebrate natures elegant simplicity in winter. Part of what makes the holidays so special is the change in season. 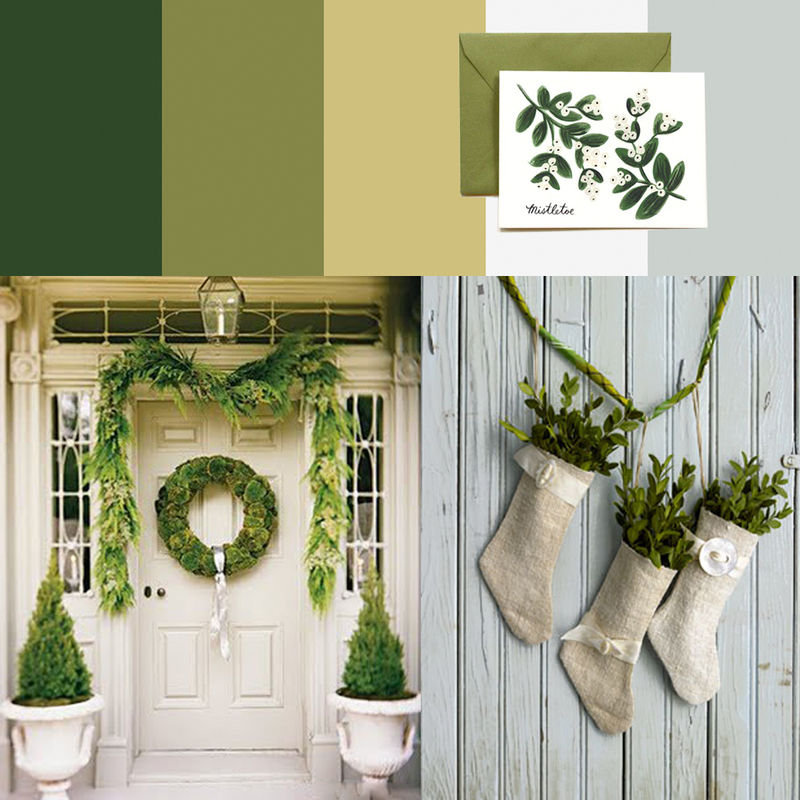 Bring the beautiful outdoors in with "A Green Christmas", part 3 of my christmas style mood board mini series. Subtle, sophisticated and oh so simple.Use a range of greenery, shapes and textures for a soothing monochromatic mix.